Because Acre, 22 kilometres north of Haifa, had the best natural harbour on the coast of the Holy Land, it achieved importance from early times. But its role as the main stronghold of the Crusaders made the most lasting impression on its long and chequered history. Before the Crusaders took Acre in 1104, the city had been captured by Egyptians, Phoenicians, Persians, Greeks and Muslims. Its name had been expressed as Acre, Akko, Acco or Accho. It was King Ptolemy of Egypt who called it Ptolemais, the name mentioned by St Luke (Acts 21:7) when he and St Paul visited it at the end of Paul’s third missionary journey around AD 58. By then a Christian community was already established. Christianity spread rapidly in the city and by AD 190 it had a bishop. By the 11th century, Muslim forces were oppressing Palestine’s Christians and harassing pilgrims, so the Emperor of Constantinople appealed to Pope Urban II for armies to aid the Christians. The Pope called for a Crusade from Europe to wrest the Holy Land, in particular the Holy Sepulchre in Jerusalem, from Muslim control. The Crusaders captured Acre. They made it their capital and the main link between their Latin kingdom and Europe. They also gave it another name, St Jean d’Acre, in honour of the Knights Hospitallers of St John of Jerusalem. In 1187 Acre fell again to Muslims under the Kurdish general Saladin. In 1191 Richard the Lionheart of England and Philip Augustus of France took it back. But Saladin’s forces finally ended the Crusader kingdom in 1187 at the battle of the Horns of Hattin, overlooking the Sea of Galilee. Acre was almost totally destroyed and lay in ruins for 450 years. 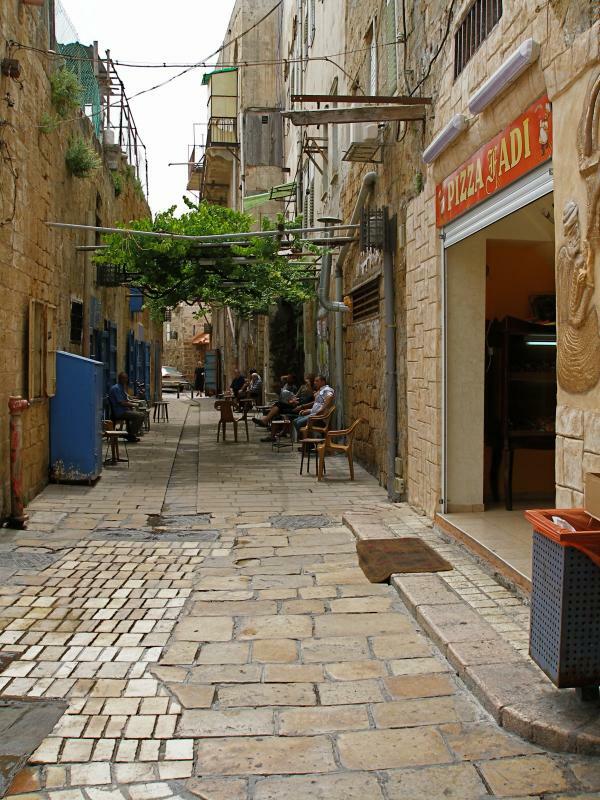 Among Acre’s bewildering network of narrow streets, today’s visitors can see much of the old Crusader city. The extensive remains are sometimes referred to as the “Underground City” because they lie well below street level. 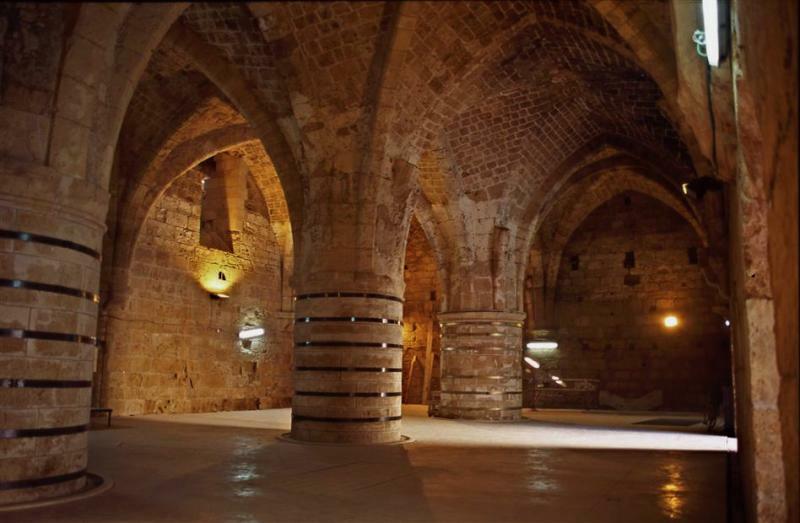 The most important edifice is the great refectory hall of the Knights Hospitallers of St John, a chivalrous order concerned with the health and spiritual welfare of pilgrims. It is a fine example of Crusader architecture. A pit in the hall gives access to an underground passage (perhaps originally a sewer from well before the time of Christ) which the Crusaders discovered and maintained. There are also Gothic knights’ halls (not all open to the public), each belonging to one of the nations represented in the crusading Order of the Knights Hospitallers: Auvergne, England, France, Germany, Provence and Spain. After the Crusader kingdom collapsed, St Francis of Assisi arrived at Acre in 1219. He had gone to Egypt with the Fifth Crusade and walked into a Muslim camp. His peace-loving nature impressed the sultan, Melek-el-Kamel, who allowed him to visit the holy places, then off limits to Christians. 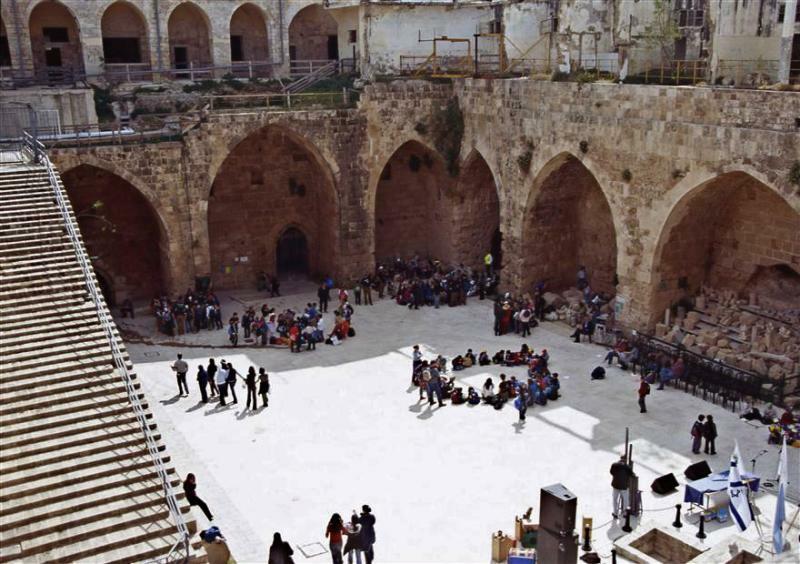 Today many of these sites are maintained by the Franciscan Custody of the Holy Land. The Venetian traveller Marco Polo was a later visitor. He made Acre the staging point for his great journey to the Orient. In the second half of the 18th century, Acre became ruled by a local Arab sheik and then by a harsh Albanian soldier of fortune, Ahmed Pasha, who became known as “al-Jazzar” (the Butcher). The walls were built at this time and they resisted a 60-day siege by Napoleon in 1799. The present Acre is largely an 18th-century Turkish town built on the ruins of the old city, and almost surrounded by Jewish suburbs. Above the Crusader town stands the dominant landmark of Ahmed Pasha’s domed mosque, known especially for its beautiful courtyard. 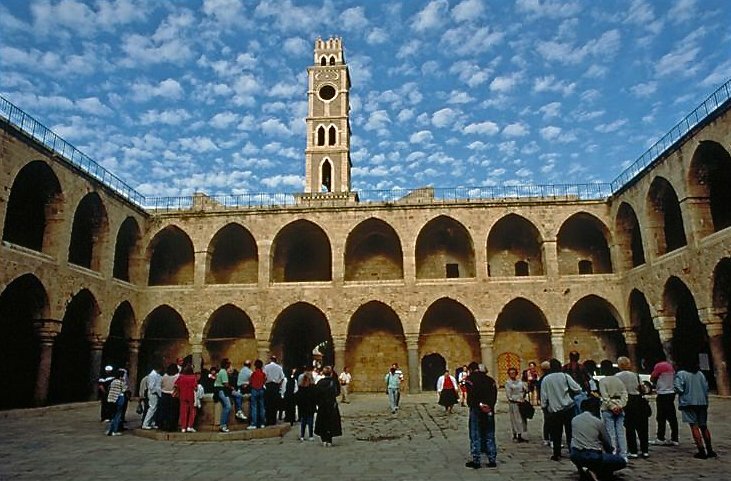 Acre’s old city has been designated a UNESCO World Heritage Site and many archaeological digs have taken place there.